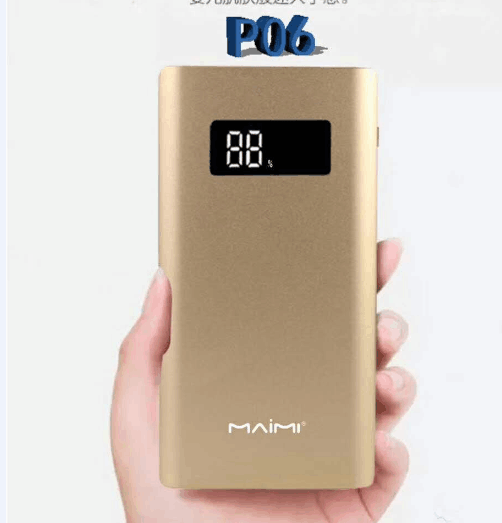 Power Bank For Mobile Battery : Unique smart led display technology will show the percentage of the remaining power and be accurate to 1%. Power Bank Best Price : It does not need to carry multiple cables indoors or outdoors and it is lightweight and portable.Perfect battery pack for everyday use,travel,camping or hiking,emergencies,commuters and families. Power Bank For Android Phone : Polymer cell, Multi-purpose safety protection system. Core intelligent protection, overcharge protection, discharge protection, leakage protection. Safe and reliable, practical and long cycle life., more than 600 times the charging and discharging. Great when you don`t have any electricity or access to a plug. power bank for android phone are high powered and can charge very quickly but still provide your device with a full charge, sometimes even twice or thrice or more depending on power capability. It attaches to a USB port and so can be re-charged through a laptop, or while in the car. This USB port also provides compatibility with any device as long as they have standard ends. Power banks are definitely convenient. After all, smartphones are important for all different reasons like checking up on the kids, calling in to work, or ordering pizza and we wouldn`t want to run out of battery. But of course, they are also not without their disadvantages that equally and neutrally need to be taken into consideration. Considering the advantage and disadvantage. If you do need power bank best price. Looking for ideal Power Bank for Mobile Battery Manufacturer & supplier ? We have a wide selection at great prices to help you get creative. All the Power Bank Best Price are quality guaranteed. We are China Origin Factory of Power Bank for Android Phone. If you have any question, please feel free to contact us.